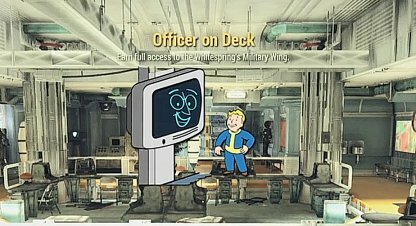 Check out this guide for a full walkthrough of the Officer On Deck Quest from Fallout 76, including gameplay tips, guides, & more! The Whitesprings Bunker is located at the Whitesprings resort, West of Solomon's Pond. You will be able to earn commendations through a number of ways. 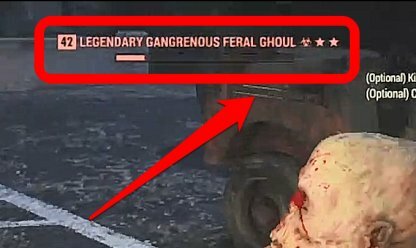 Enemies with the Epic or Legendary title have stars next to their name. The more the stars next to their name, the more commendations you will be able to earn as a result of killing them. Events are quests which need to be completed under a certain time limit. 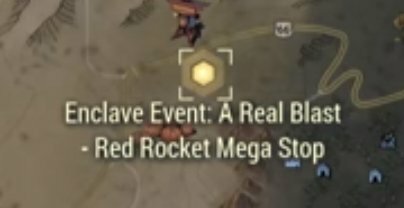 Enclave events pops up on the full map from time to time with "Enclave Event". We list up few enclave events below and on the respective pages, you will find guides for them.